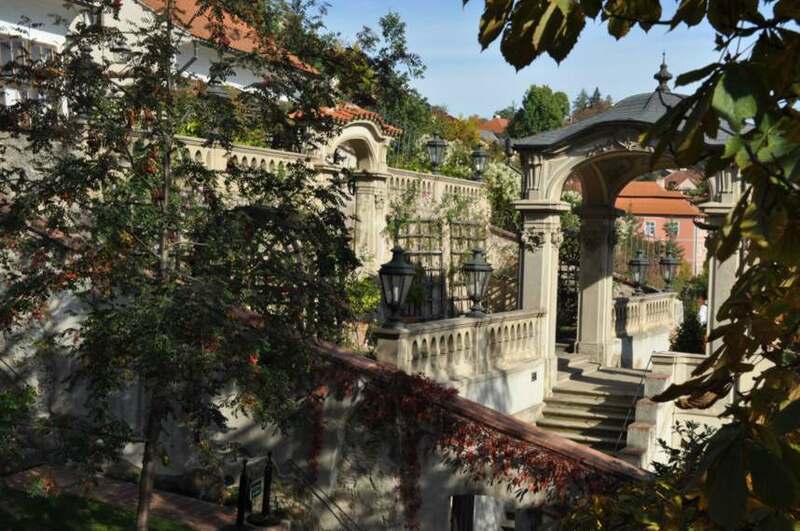 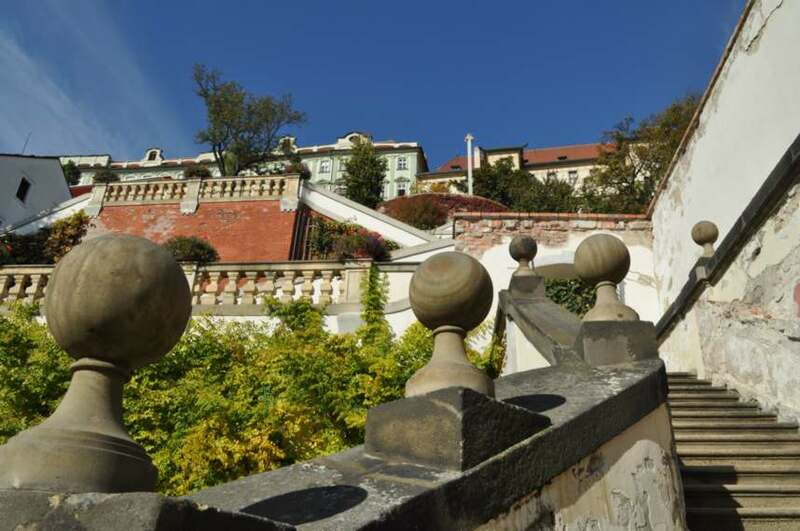 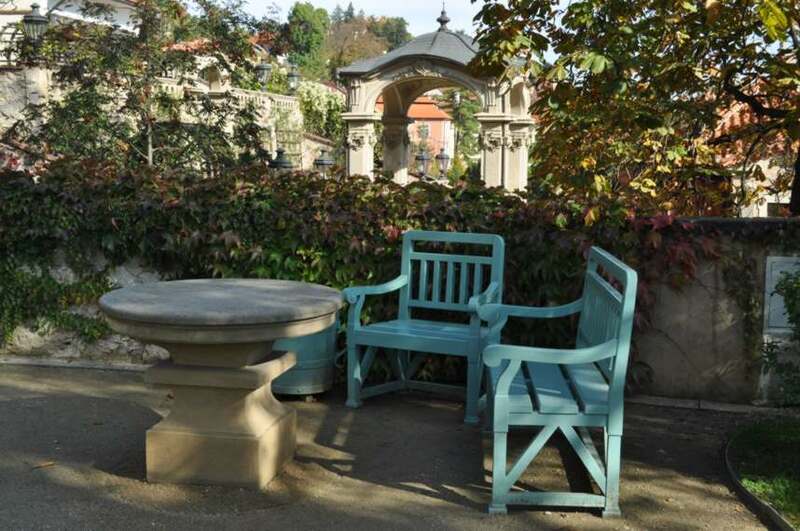 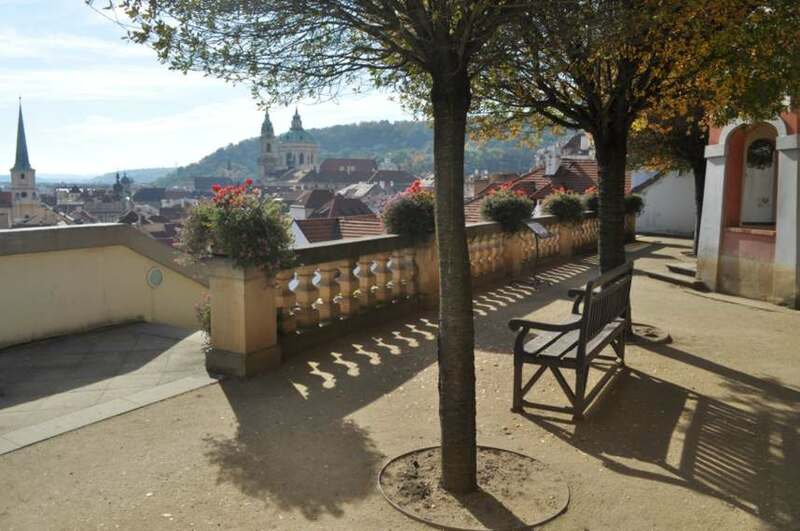 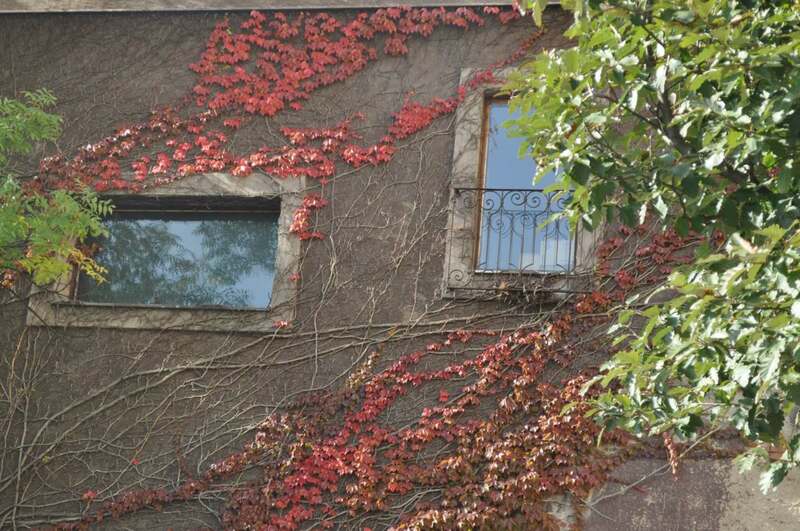 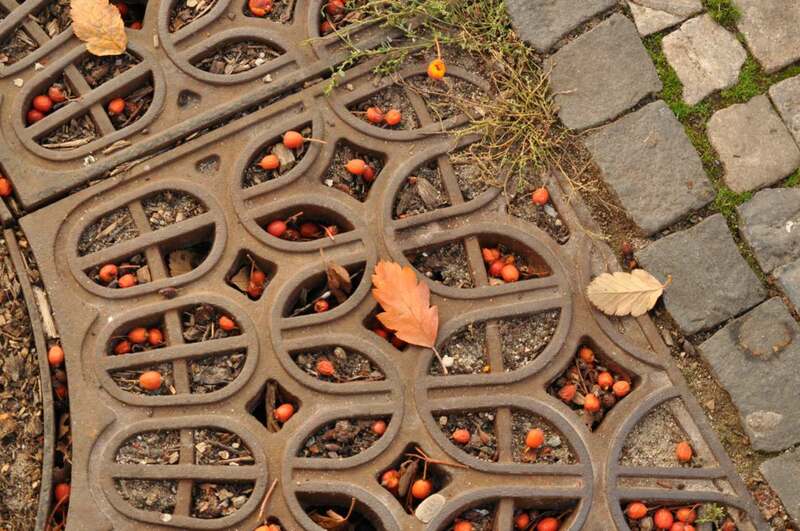 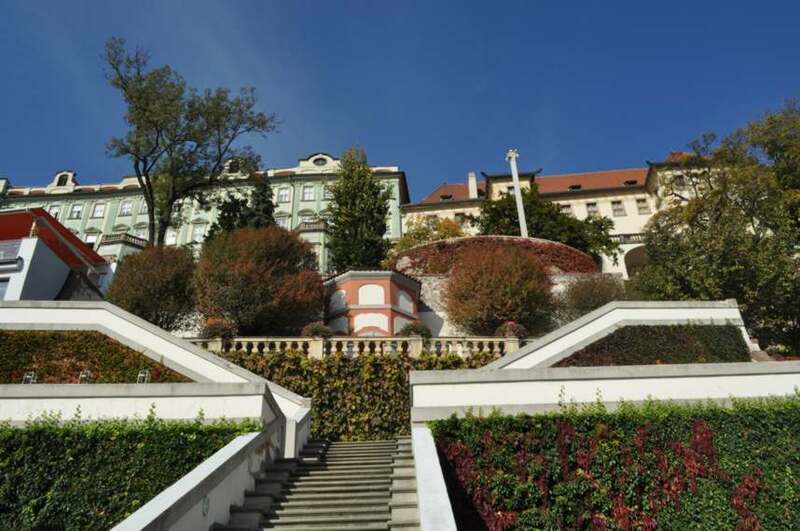 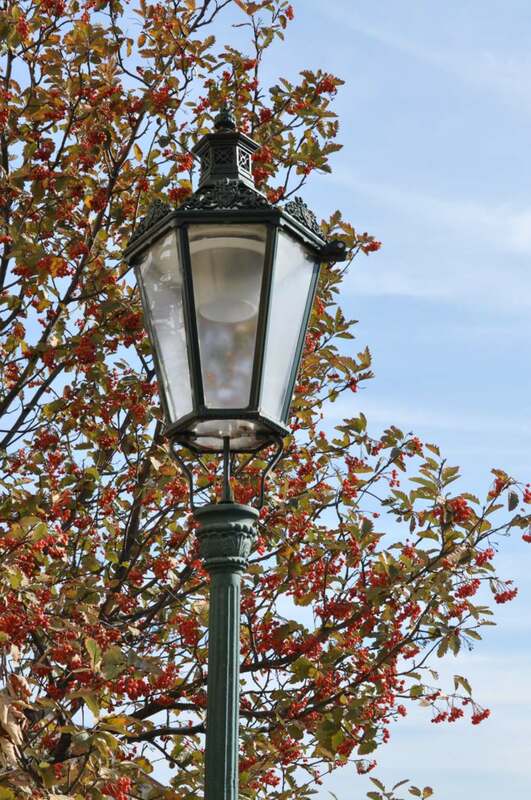 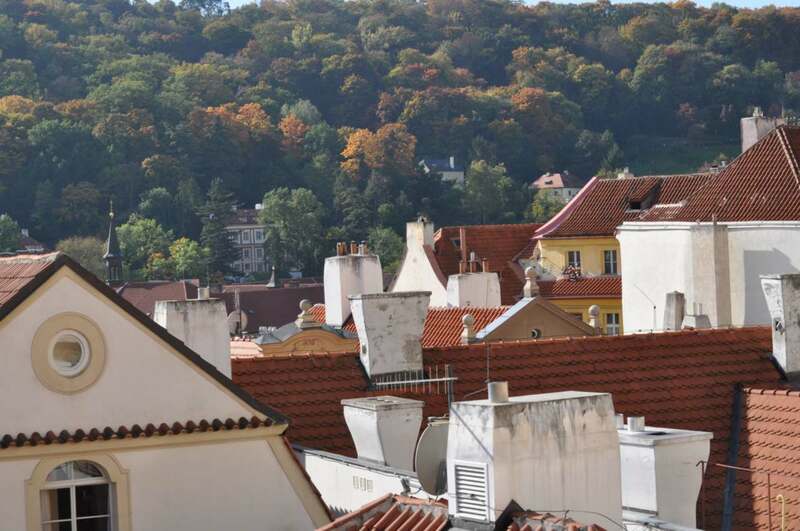 I love fall, I love all the colors around, and as the weather is beautiful this October in Prague, I want to take you for a small walk with special emphasis to views and trees and autumn colors. 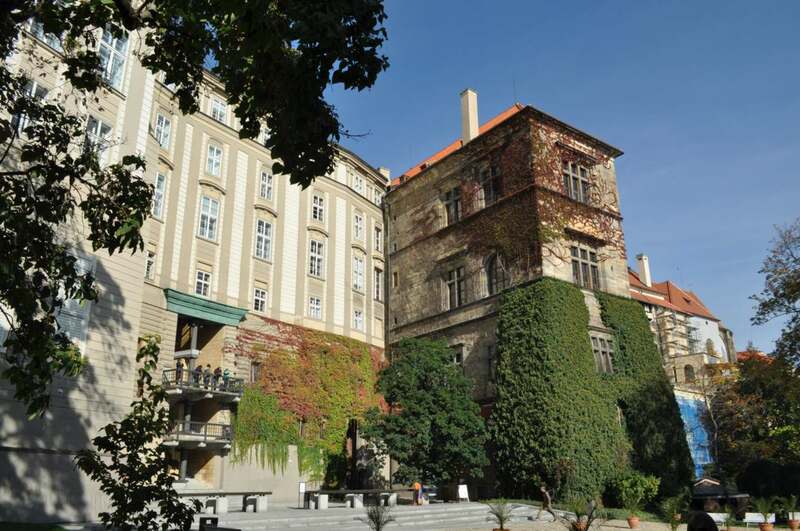 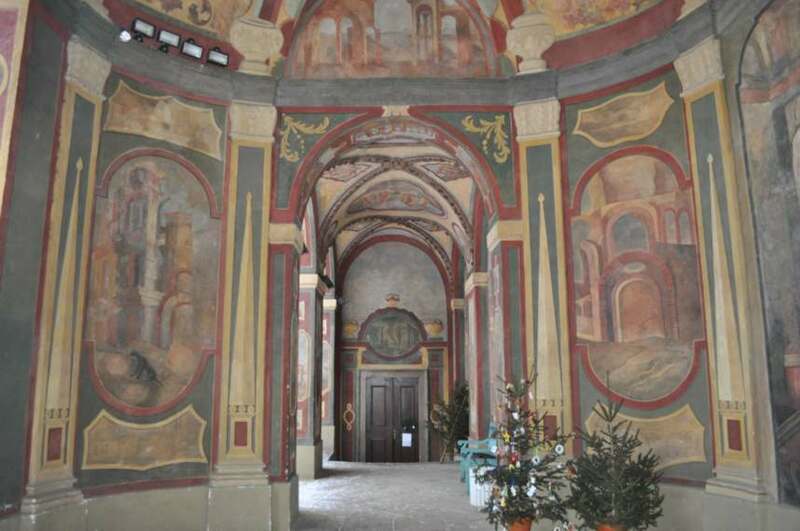 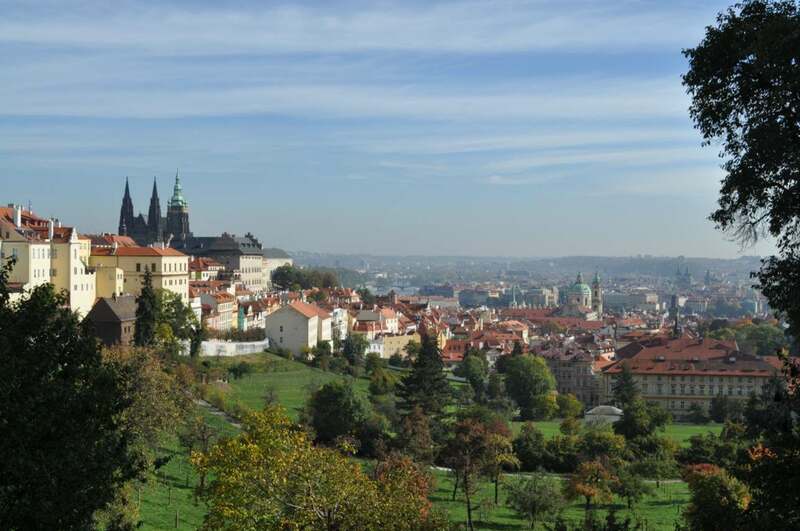 It won’t be really long, we will start at Strahov Monastery and end our tour around Prague Castle Gardens, but I hope you will enjoy it. 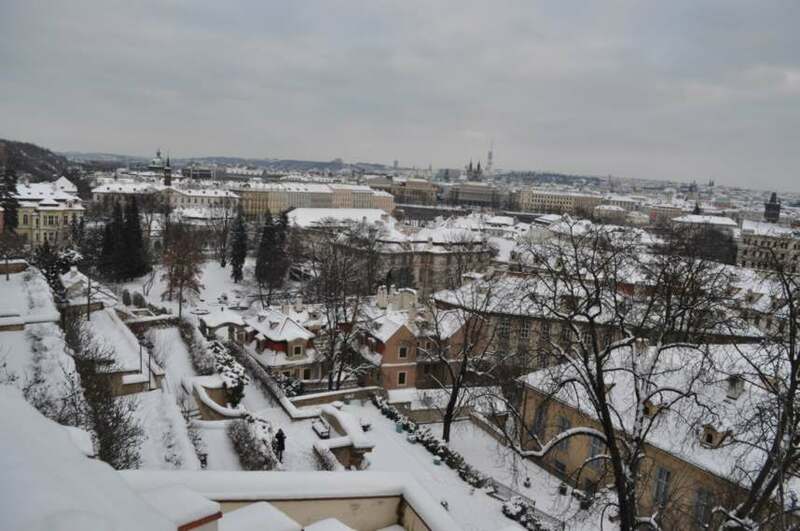 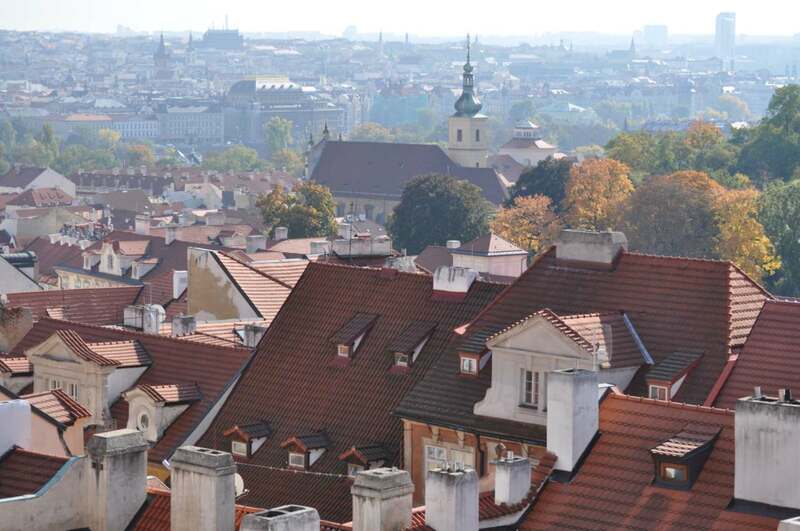 I love Strahov Monastery and the view to Prague from there, also the beer Norbert in small brewery is perfect. 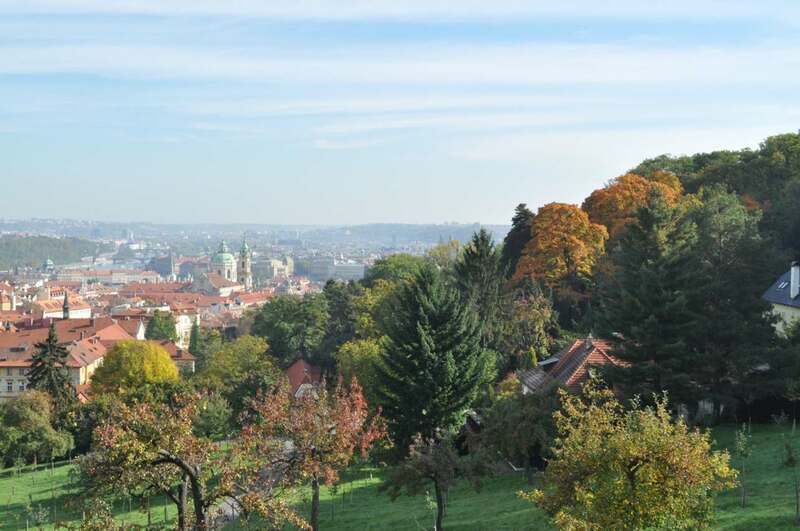 View from Strahov to north. 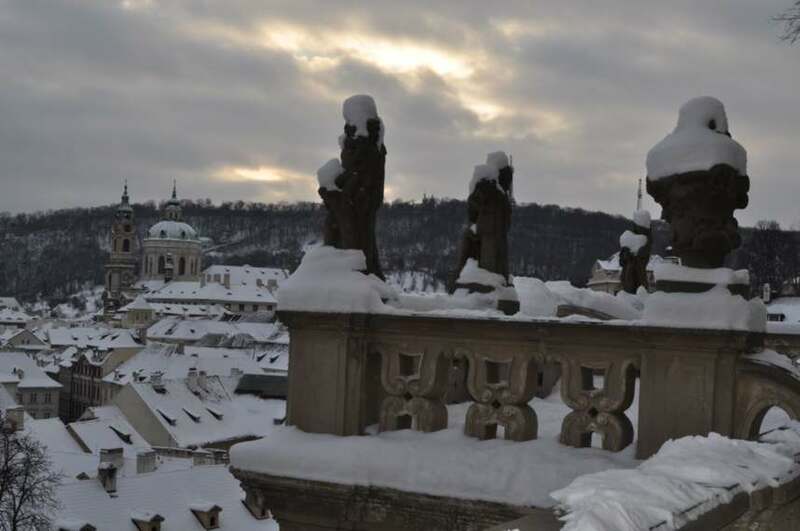 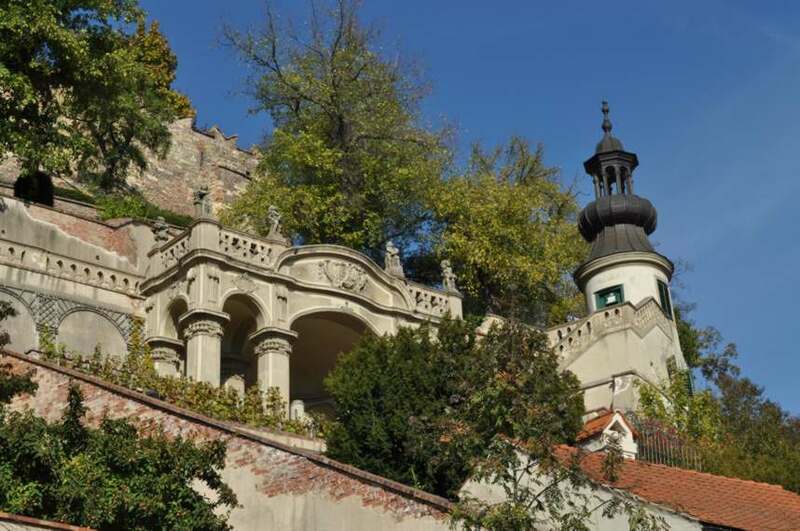 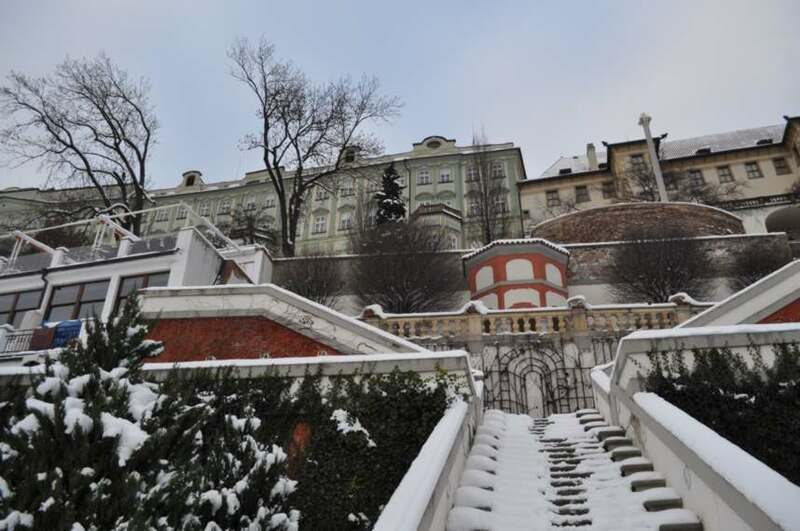 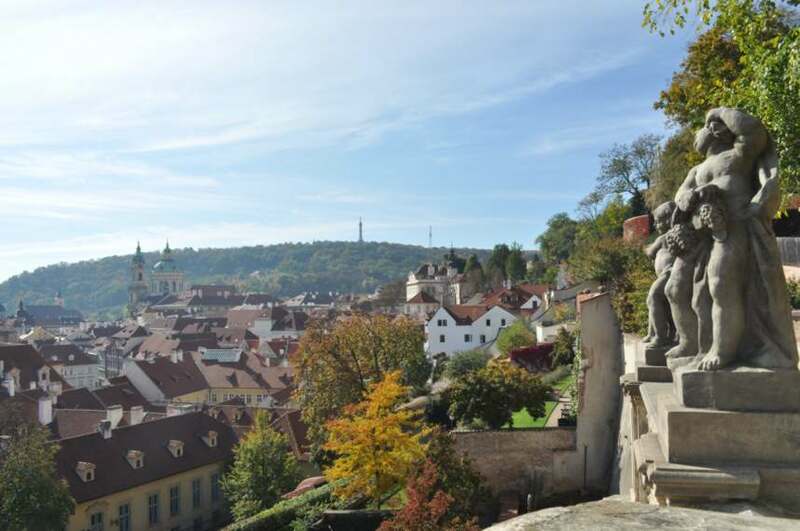 Our trip follows down by the Uvoz street with baroque buildings on the left and Boromejsky Monastery Gardens on the right, with Petrin Hill on background. 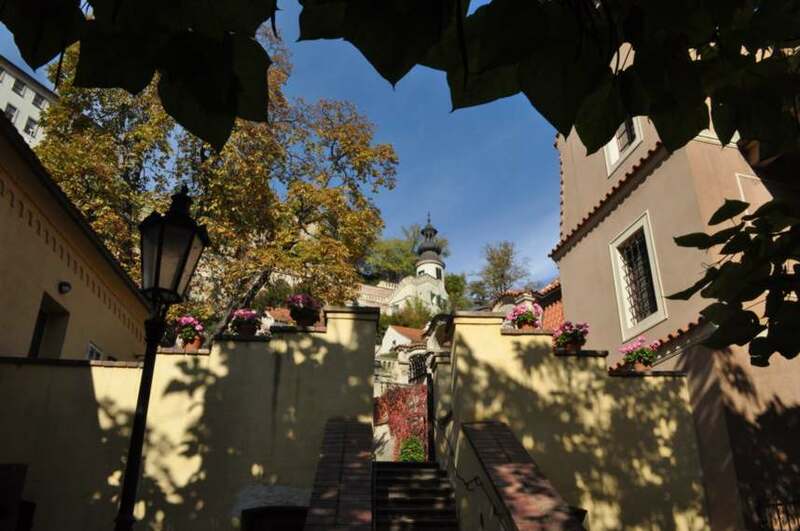 Where Uvoz meets Neruda street, we go up to the castle gardens, with a look to red roofs of Lesser Town. 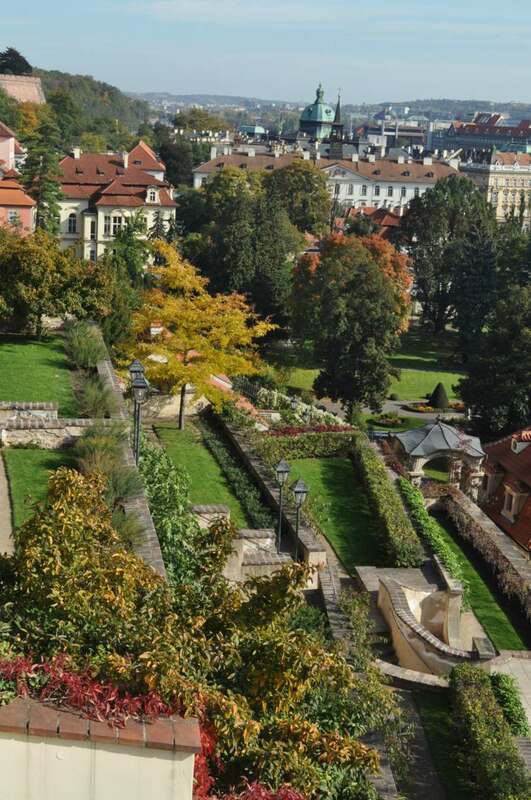 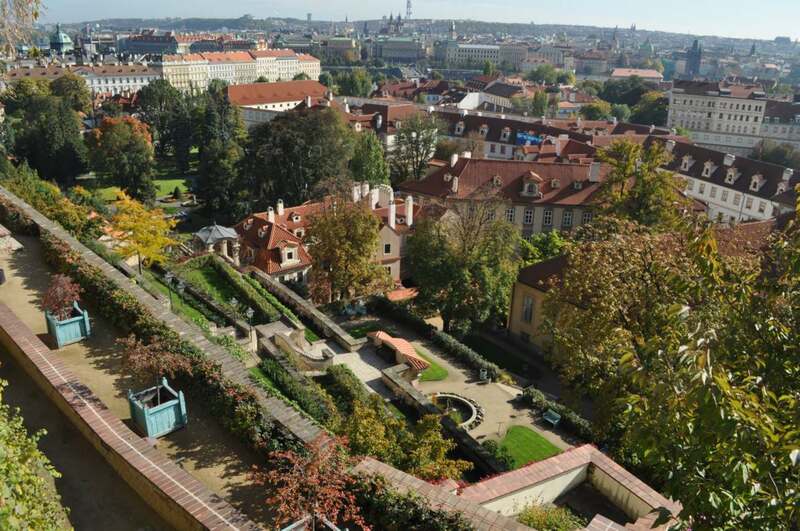 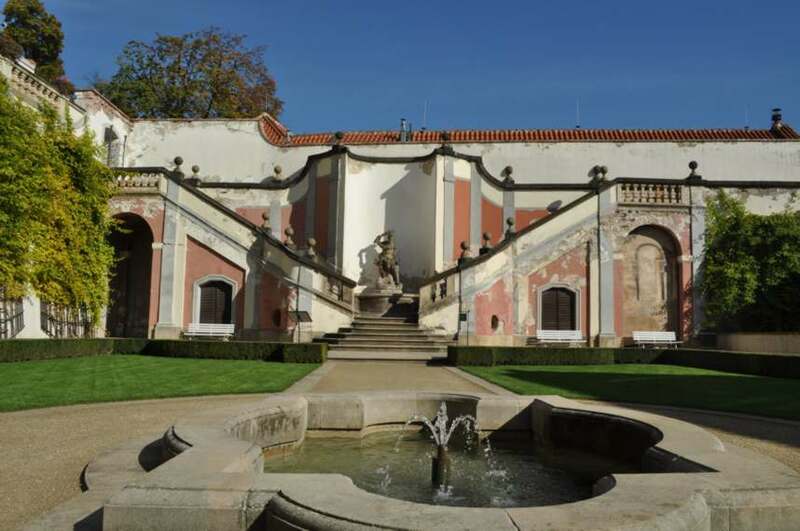 South castle gardens are closed in winter, but now we still have a chance to enjoy green, yellow and red colors of trees there together with the milky view to Prague roofs and spires. 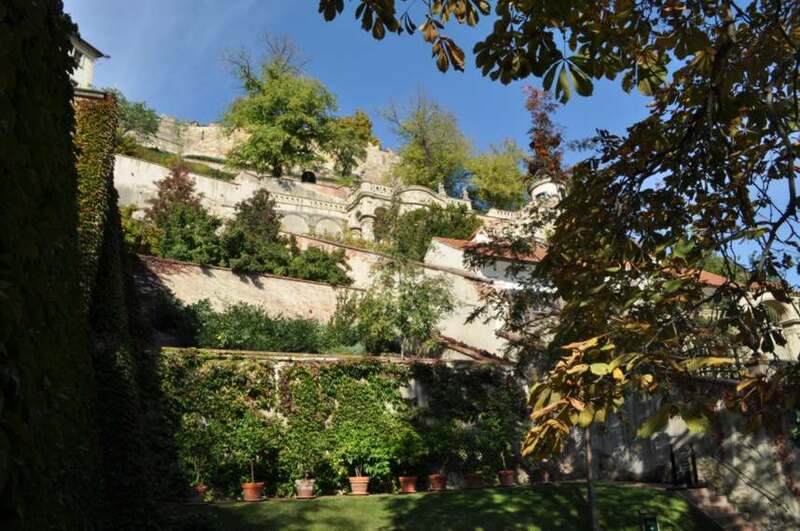 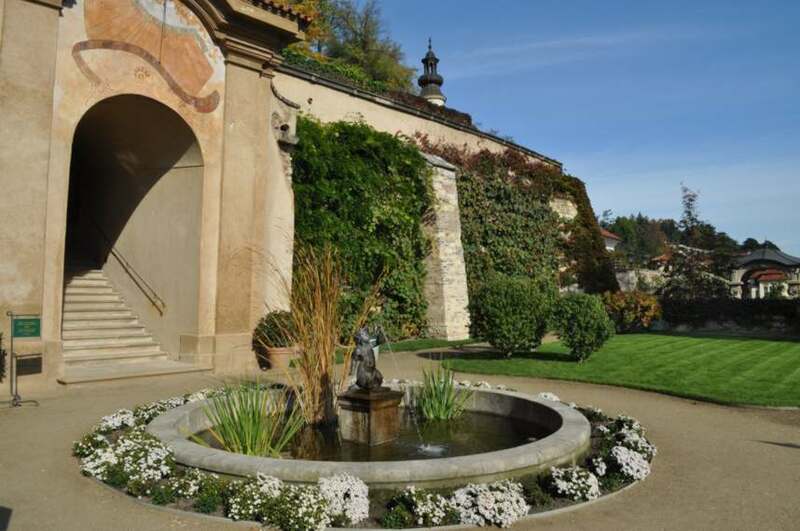 Garden Na Valech, just bellow the Castle, and the nicest autumn views from there. 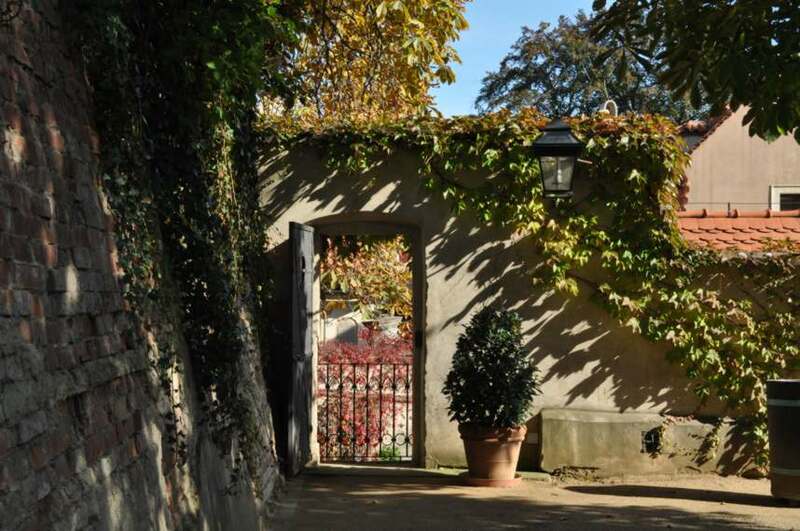 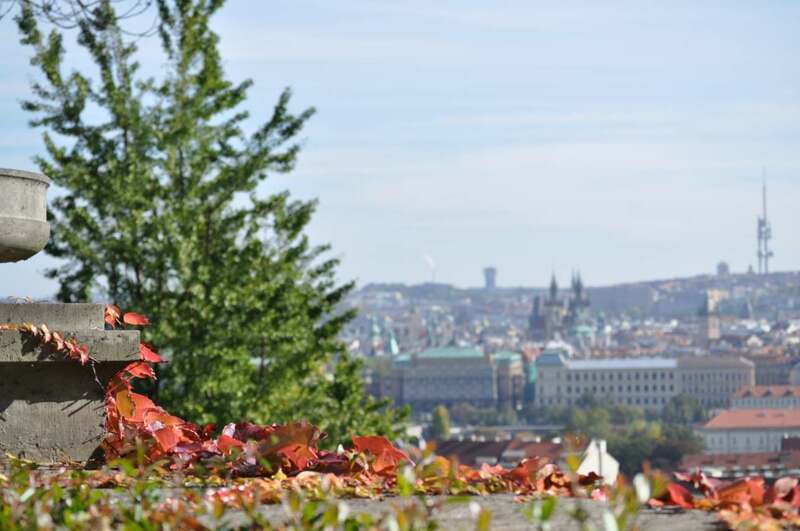 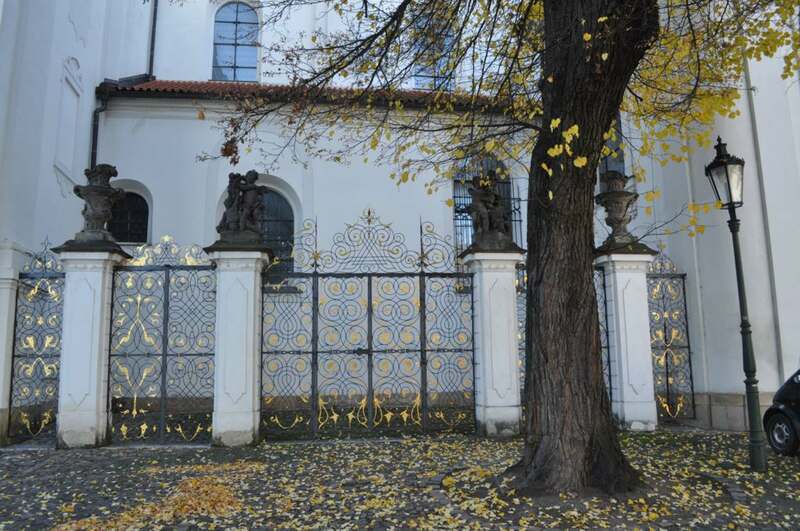 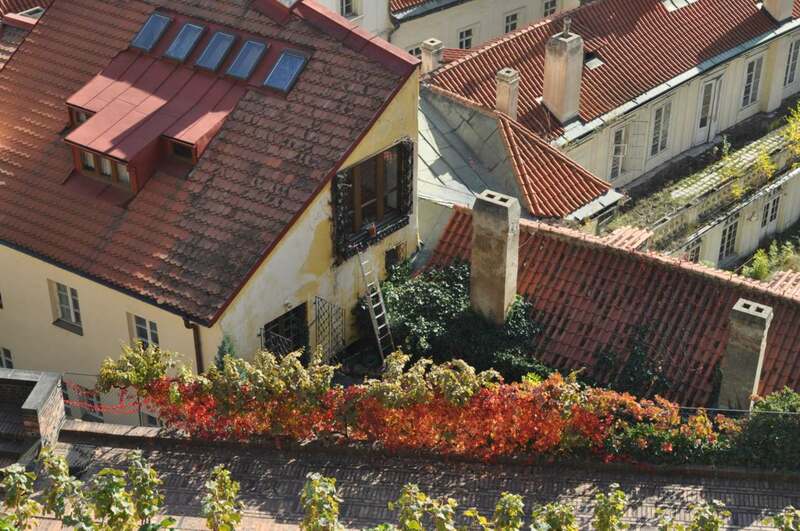 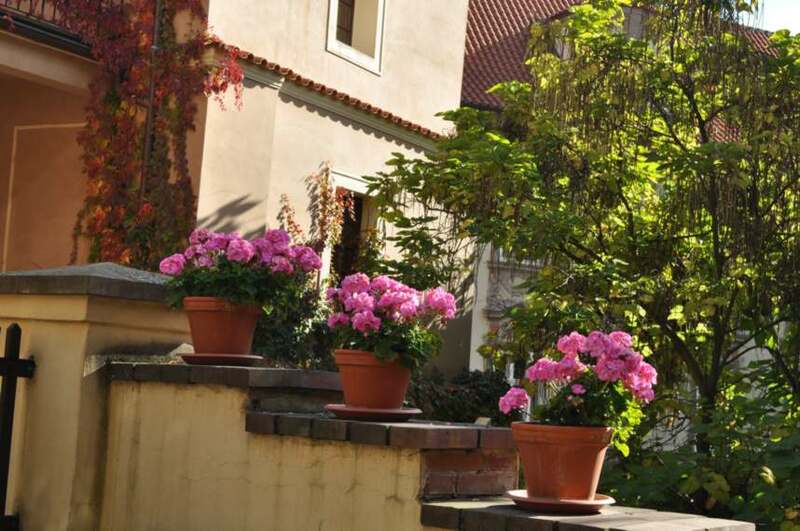 I hope you liked our small tour around the Prague Castle and enjoy the autumn colors at your neighborhood, they can remind you our walk and hopefully bring you to Prague to see it on your own eyes.